When my husband and I moved into our house in October of 2009 we were thrilled that his grandparents were going to give us their two wingback chairs, but the gray blue fabric that covered them just didn’t suit our style. 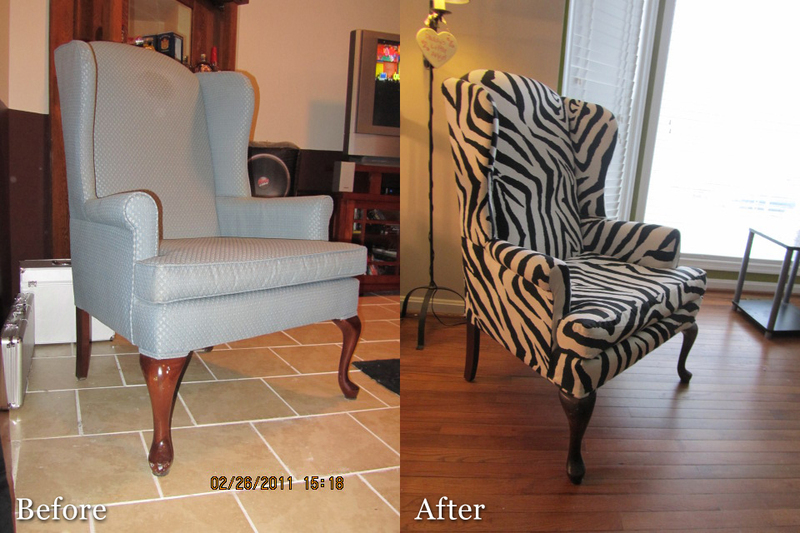 After more than a year of dreaming about one day reupholstering the chairs, I took to ‘em with the help of my mom. Here’s how we did it. We obviously started by searching for the right fabric. 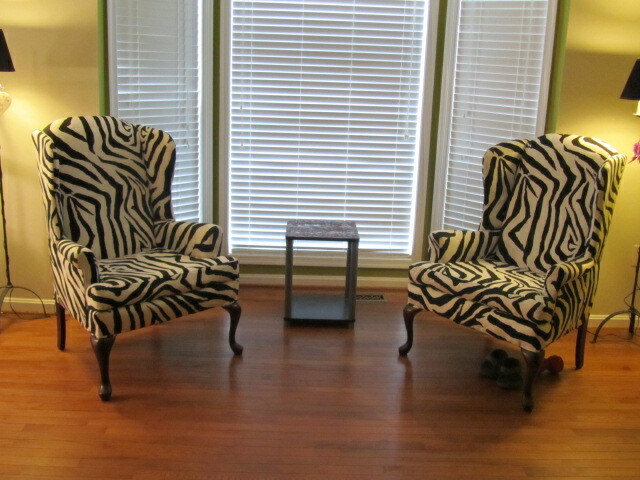 I had my heart set on a zebra print – and I found what I was looking for on FabricGuru.com. The next step was to start taking apart the first chair. We decided to label each piece as we removed them from the chair. This way we could later use the pieces for patterns and we could easily identify which piece went where. Make sure you keep track of which pieces overlap others – in what order and where – and try to reuse tack strips from your chair if you can. 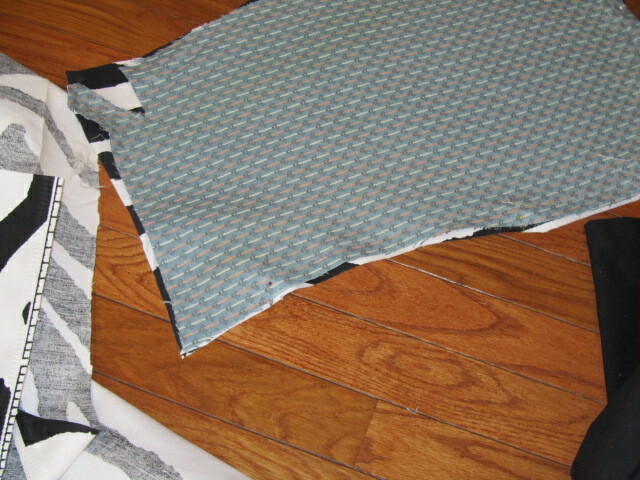 After cutting out your pieces, you will need to sew together your pieces like the wings, arms and seat cushions. I was lucky enough to have my mom do the sewing intensive pieces. There is no way I could have completed this project if I had to sew the arms on these chairs – at least if I wanted to keep my hair by the end of it. Now is where that overlapping and order part comes in handy – you’ll need to start putting the pieces back on the chair like a puzzle. 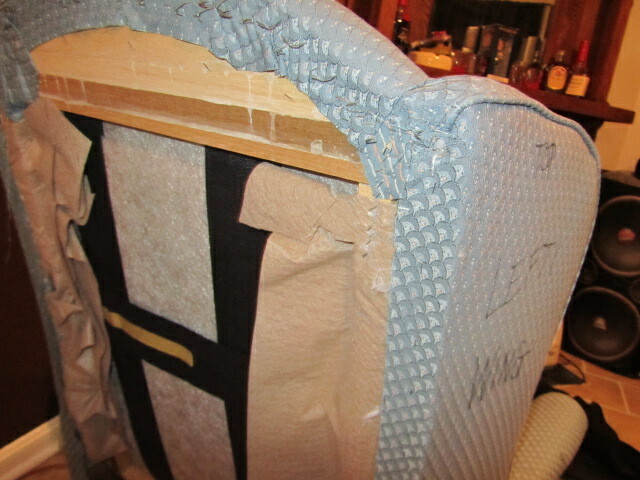 One by one staple and hammer your tack strips into place to put your pieces back on the chair. Voila! You have a chair with fresh makeover. Sounds easy, huh? I will tell you I will probably never do this again. Without a lot of patience and wine I don’t think my mom and I would have finished… But I don’t regret it. I get so many wonderful compliments on my outrageous chairs. what type of fabric did you use? I too am looking for a zebra, but dont know weather i can you or should us fleece,linen,cotton,oilcloth, etc? I will have to double check what kind of fabric I used… But off the top of my head I can tell you it was a heavier canvas/duck-cloth/upholstery type of fabric.